Our auto body shop is the perfect place to get vehicle washing and detailing done. We perform such work for both hobbyists and professionals alike, based on their exact specifications. Our skilled technicians can also suggest ideas to make your car look and feel better. 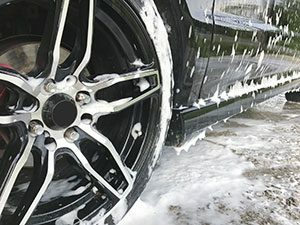 We are famous for specializing in high quality car washing, we utilize efficient techniques and products and offer affordable pricing to our customers. This process entails detailing of the car inside and out according to your personal specifications. It starts with washing the vehicle thoroughly and then adding detailing to the body, seats, dashboard, and almost every other part of the car. Such detailing requires immense amounts of patience, knowledge and skill.